Williams Lake, B.C. 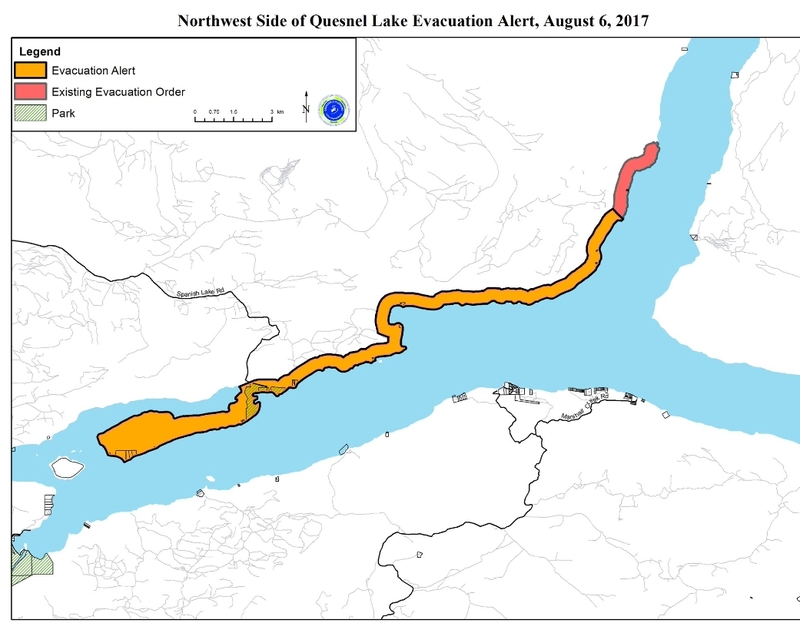 – The Cariboo Regional District has issued an evacuation alert for the northwest side of Quesnel Lake. This alert is in addition to the evacuation order issued for some properties on the west side of the north arm of Quesnel lake yesterday. An Evacuation Alert has been issued to prepare residents to evacuate the premises or property should it be required. If evacuation is required, the evacuation route will be by water or by Spanish Lake Road.